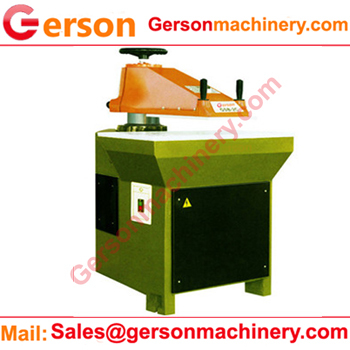 Hydraulic power swing arm cutting machine is one of Gerson die cutting machine with swing arm or beam .Some times it is also called clicker press as a good hydraulic press machine for industy and lab ,home and shop using. 1.This hydraulic cutting machine can die cut our many material in sheet or roll format .It is widely used in many industries . 2.Versatile and economical and cheap machine for wide range industries: including footwear to automotive industry, Swing arm hydraulic power cutting machine can serve well for full cut through the material. 3. It can be quick and fast than hand cutting or any manual cutting . 4.The cutting force can be 8T or 8 ton ,10T or 10 ton,12T,14T,15T 16T,18T,20T,22T,25T,28T, or more large with the full beam hydraulic press upto 2000 tons. 5.Any detailed special requirement ,you could contact Gerosn at any free time .No special fees .we just design and manuafacturing .